We Indians have a very distinct sense of taste that’s been built by generations of cooks and little alterations to the recipes. It’s something about that extra dollop of ghee or the hint of dalchini that makes our cuisine pop! But since we can’t always find the time to cook, we walk over to the nearest fast food store to do some pet puja. However, the major drawback of doing so is that we rarely find something that matches our appetite, thereby urging us to do a ton of guesswork. Is naan a desi iteration of the burger? Just wondering. Don’t @ me. But I digress. Now, these three items on their own are ridiculously delicious (hence they’re popular). But just imagine if they were given an upgrade and turned into a permanent member of the menu? Wouldn’t that be exciting? Well, lucky you, because McDonald’s is giving you the once-in-a-lifetime opportunity to choose which raapchik twist to these burgers are gonna end up on the menu. So get ready to taste the different spices as you walk into any McDonald’s! 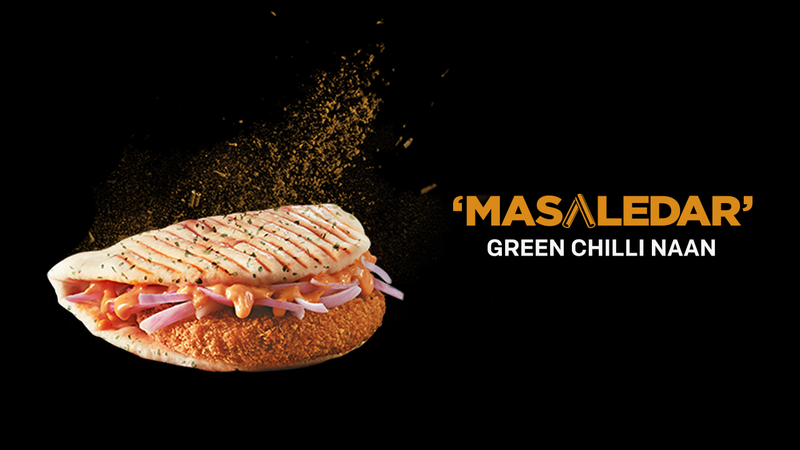 The new masaledar Green Chilli Naan with green chillies, piri piri spices (which is a mix of paprika, oregano, ginger and the famous piri-piri pepper) and habanero sauce. 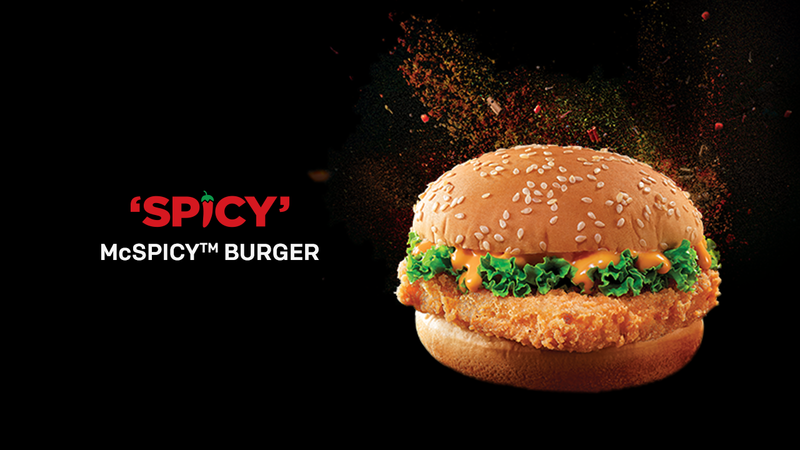 The spicy McSpicy Paneer that got spicier with some extra pepper and red chillies. 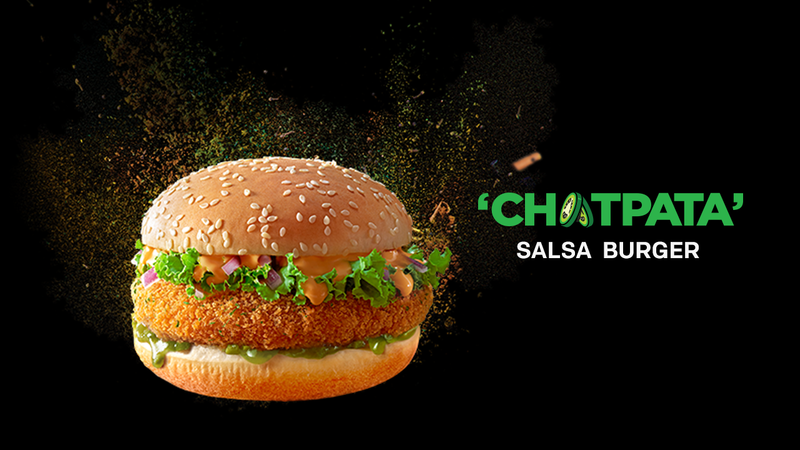 The chatpata Salsa Bean Burger which comes with two kinds of sauces: salsa Verde and Sriracha mixed with cheese. Now, in case you’re unsure which one you want to try out and vote for, don’t worry. 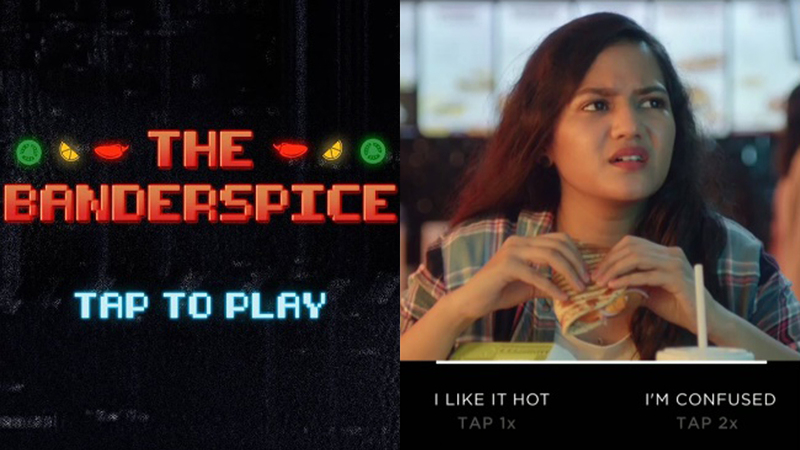 Take a trip to the highlights on McDonald’s Instagram page and play ‘Banderspice’ to find out what’s your spice. It’s inspired by Netflix’s “choose your own adventure” movie ‘Bandersnatch’. But here, instead of controlling a game developer, you’ll be finding out which kind of spice you prefer. And then you can vote for what you want on your McDonald’s menu. As Indians, we love our democracy as much as we love our food. And McDonald’s has given us the chance to combine them both and vote for what we want to put into our mouths. So, my only advice to you will be to choose wisely because whoever gets the most number of ‘thumbs-ups’ is going to be on the menu for the foreseeable future.